Dr Mueza is a fulltime doctor at GC Dental World and hs a working experience of 3 years. She specialises in all kinds of fillings,scaling and emergency treatment. 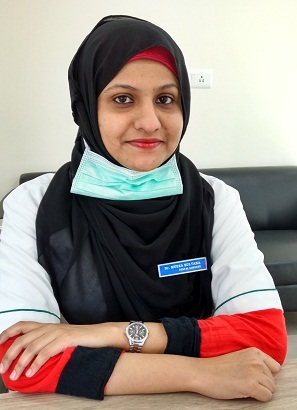 She is very proficient in her work and is dedicated to bringing awareness about oral hygiene in all patients.